Glamorous sequin lace embellishes this elaborate cathedral length veil, making Charity the perfect statement accessory for your big day. It wouldn't be complete without the incredible metal comb, keeping your placement perfect while you grace the aisle with your presence. 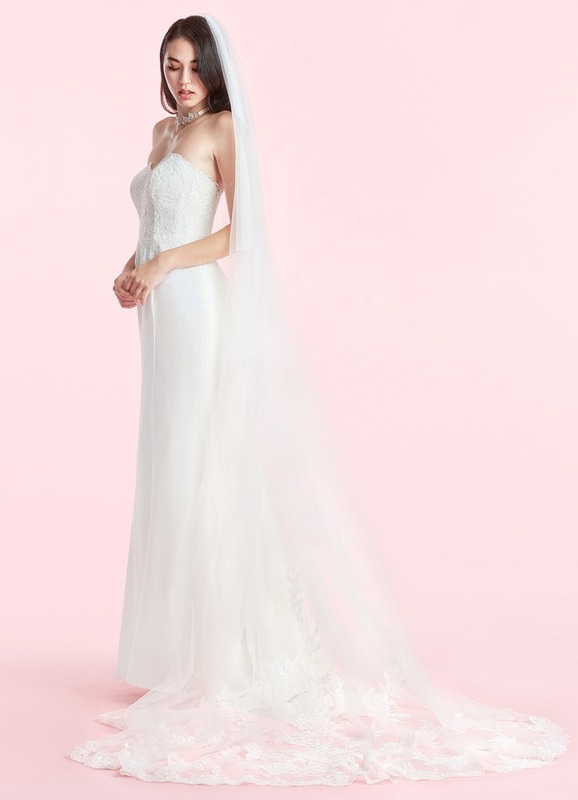 Length: 110"
Ordered this veil for my wedding in the Spring. Wasn't sure on the color at first because my dress is a little darker than ivory and the veil, to me, resembles more white than ivory. Either way, it matches beautifully and I am so excited to wear it. 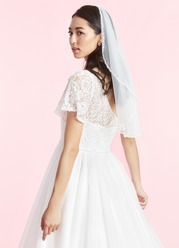 Also for under $100 is definitely a more efficient buy than at the bridal shop. Will post a pic after the big day ! I was really pleased when I got this veil. 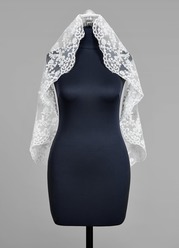 The lace is beautiful, intricate, and looks luxe. It's also very, very long, which is what I was wanting. I would definitely recommend!